Year 9 engineering students from Woodham Academy recently attended a discovery event at Nissan UK in Washington, near Sunderland. 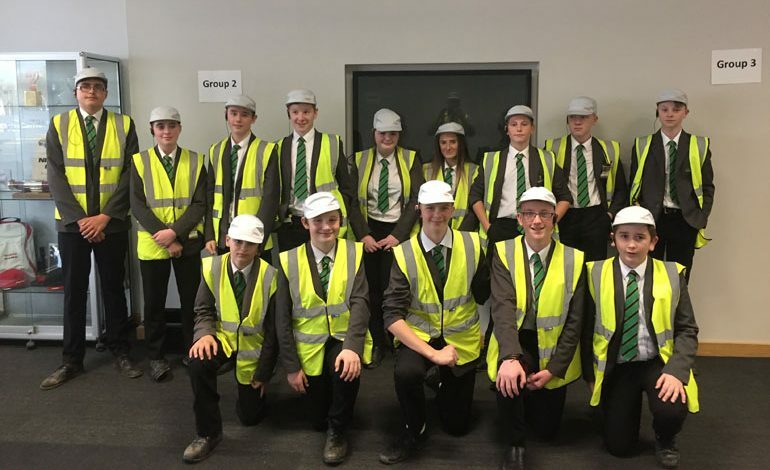 Students got to meet and speak to engineers and find out first-hand what it takes to be an engineer working at the modern plant in Sunderland. During the visit students learnt about how a company like Nissan is making its production process cleaner and more efficient to help reduce carbon footprint and greenhouse gases being released into the atmosphere. Students also were taken on a plant tour to see how Nissan make the Juke and Qashqai from raw materials to a fully finished working car for its customers. Engineering results at Woodham Academy this year were well above the national average. Engineering teacher Peter Groves said: “Visits to engineering companies across the region are an integral part of our engineering course.